Put touches of warmth in your style with this Regaliz slider bead. This small, rectangular bead features a Greek key pattern decorating the front. You can slide this spacer onto 5mm flat leather (it's the perfect fit) for added detail in your style. It's a great option for men or women's jewelry. This spacer features a warm copper shine that you can pair with turquoise, green, rich purple, and more. Put fun details into your style with this Regaliz slider bead. This small, rectangular bead features a Greek key pattern decorating the front. You can slide this spacer onto 5mm flat leather (it's the perfect fit) for added detail in your style. It's a great option for men or women's jewelry. 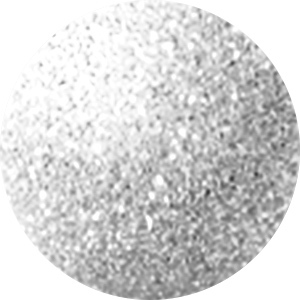 This spacer features a versatile silver shine that will complement any color palette, so use it in your designs today. Make sure your designs are filled with infinite style using the Regaliz antique silver-plated 12x30mm infinity slider bead. This bead is shaped like the figure-eight infinity symbol. The two wide open loops of the symbol are perfect for sliding leather stringing material through. You could even use this bead as a link or embellishment. It features a versatile silver shine you can use with any color combination. Use this bead with 1mm, 1.5mm and 2mm leather cord. 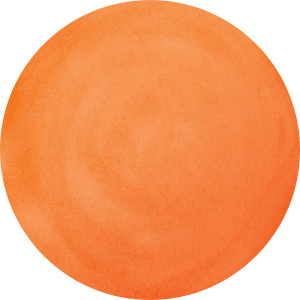 Give your jewelry-making projects a warm accent with this Regaliz slider bead. This rectangular bead features a continuous Greek key pattern decorating the front, for geometric beauty you can't pass up. Slide this spacer onto one strand of 10mm flat leather for quick style or try it with two strands of 5mm flat leather. It's the perfect way to add more detail to your jewelry designs and it works for men or women's jewelry. This spacer features a rich coppery hue, perfect for pairing with earth tones or regal purples. Create colorful flair in your leather designs with the Regaliz antique silver-plated turquoise resin leaf slider bead. This slider fits Regaliz oval leather perfectly. This bead features a bold silver setting on the front with a swirling leaf design. The setting holds an oval cabochon filled with swirling turquoise blue color. Pair it with rich brown leather for a look reminiscent of the Southwest. It would make a stunning addition to any leather bracelet or choker. Give your leather designs bright silver accents with this Regaliz slider bead. This bead works perfectly with Regaliz oval leather. These beads feature an irregular oval ring shape. When they are strung onto Regaliz leather they look like thin bands of silver. The shining color is versatile enough to work with any color scheme. Make a bold bracelet full of funky style using these beads. Completely customize your designs with the help of the Regaliz 6.35x10mm antique silver-plated mini charm holder slider bead. This bead features a simple oval shape with a small loop attached to the bottom. The stringing hole is the perfect size and shape for using with Regaliz 5mm flat leather. You can add charms and dangles to the small open loop to add your own style to leather designs. Best of all, this bead features a versatile silver shine that will work with any color palette. Add your own touch of style to your designs with the Regaliz 10x2.5mm antique silver-plated small rectangle charm holder slider bead. This bead is made to work with Regaliz 10mm flat leather. It is thin and oval in shape and features a small cut-out on the front that will allow the stringing material to remain visible. A small loop is attached to the bottom, so you can add charms or dangles of your choosing. This charm holder features a lovely silver shine, making it a versatile piece that will work with any color palette. Show off a bohemian spirit in designs. This Regaliz feather spacer bead is the perfect way to spice up any style. It fits two strands of 5mm flat leather or one strand of 10mm flat leather. Use it as the focal piece of a stylish bracelet and make sure to layer it with other pieces for a truly bohemian look. This bead features a regal golden glow that is sure to stand out in your style. It's easy to add texture to designs with this Regaliz spacer bead. This bar-shaped slider features a row of granulations decorating all sides, for a detailed look you can't pass up. Slide this bead onto one strand of 10mm flat leather for quick style or try it with two strands of 5mm flat leather. It's a great option for both men and women's jewelry. This bead features a versatile silver shine that will work with any color palette. For lively style, try this Regaliz slider bead. This rectangular bead features a continuous Greek key pattern decorating the front, for geometric beauty you can't pass up. Slide this spacer onto one strand of 10mm flat leather for quick style or try it with two strands of 5mm flat leather. It's the perfect way to add more detail to your jewelry designs and it works for men or women's jewelry. This spacer features a lovely golden shine, perfect for pairing with classic colors. 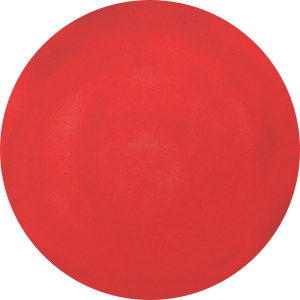 Decorate leather designs with this Regaliz slider bead. This rectangular bead features a continuous Greek key pattern decorating the front, for geometric beauty you can't pass up. Slide this spacer onto one strand of 10mm flat leather for quick style or try it with two strands of 5mm flat leather. It's the perfect way to add more detail to your jewelry designs and it works for men or women's jewelry. This spacer features a versatile silver shine that will work with any color palette. Stand out in your style with this feather spacer bead from Regaliz. It's the perfect way to spice up any style. It fits two strands of 5mm flat leather or one strand of 10mm flat leather. Use it as the focal piece of a stylish bracelet and make sure to layer it with other pieces for a truly bohemian look. This bead features a warm copper glow that would pair well with earth tones. Let cool details fill your style with this Regaliz slider bead. This small, rectangular bead features a Greek key pattern decorating the front. You can slide this spacer onto 5mm flat leather (it's the perfect fit) for added detail in your style. It's a great option for men or women's jewelry. This spacer features a dark gold color that would work with rich colors like olive green, amethyst, navy blue, and more. Make sure your designs are full of detail with this Regaliz slider bead. This rectangular bead features a continuous Greek key pattern decorating the front, for geometric beauty you can't pass up. Slide this spacer onto one strand of 10mm flat leather for quick style or try it with two strands of 5mm flat leather. It's the perfect way to add more detail to your jewelry designs and it works for men or women's jewelry. This spacer features a rich brassy gold color, perfect for vintage-inspired styles. For warmth in your style, try this Regaliz spacer bead. This bar-shaped slider features a row of granulations decorating all sides, for a detailed look you can't pass up. Slide this bead onto one strand of 10mm flat leather for quick style or try it with two strands of 5mm flat leather. It's a great option for both men and women's jewelry. This bead features a rich coppery color, perfect for pairing with earth tones, turquoise, or purple.